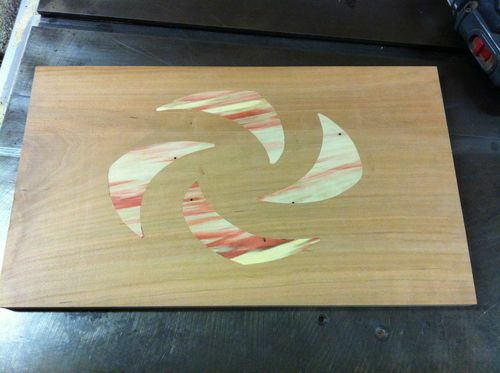 I don’t have much time in the shop anymore so I thought I would do a few carved inlays for some box lids. Here’s one I started today. Very nice and I bet it will look GREAT when it is in place! Thanks. I’ve got a few other projects in the works also. 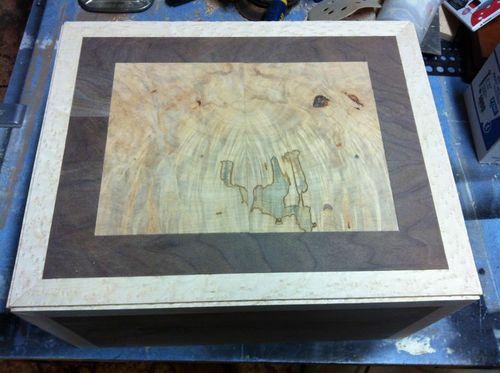 I figure I can get the inlays ready and build the boxes when I have time. Looks like it could be pretty time consuming! Good to see your back….. look forward to seeing that bird inlayed…..
It’s a Phoenix, which just happens to be our youngest son’s middle name. Since he doesn’t have a box yet, I thought it would be appropriate. 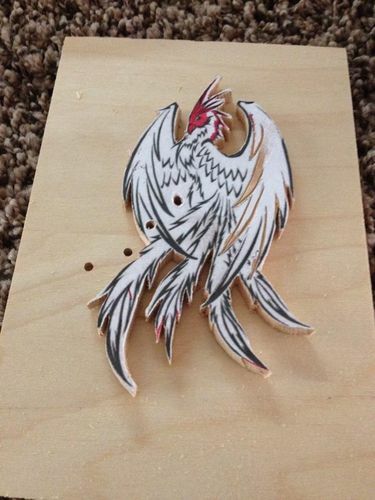 I’ve done a phoenix box in the past, but nothing this challenging. I am sure the children take a lot of time. Joey, Good to hear from you! That carving is just amazing! Thanks. It’s getting there. It’s on a wild piece of curly maple. I have high hopes for it. 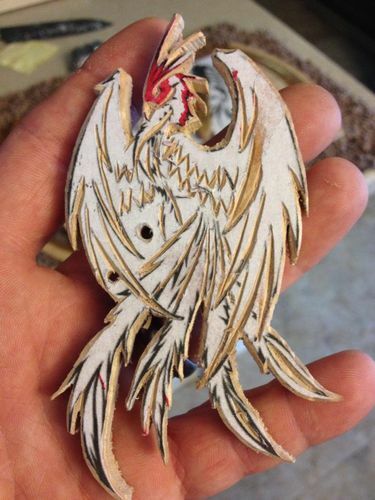 That carved inlay sure looks good. It’ll be interesting to see how it comes out. 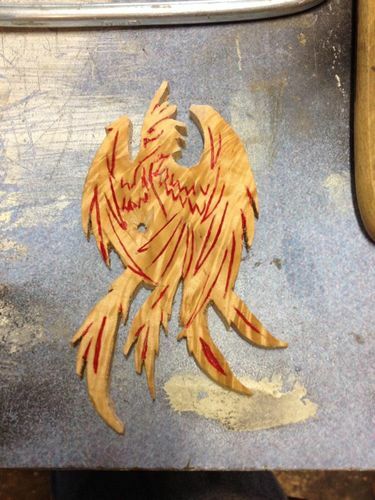 Made a little more progress on the Phoenix. I added a bit of red ink to see if I would like it. 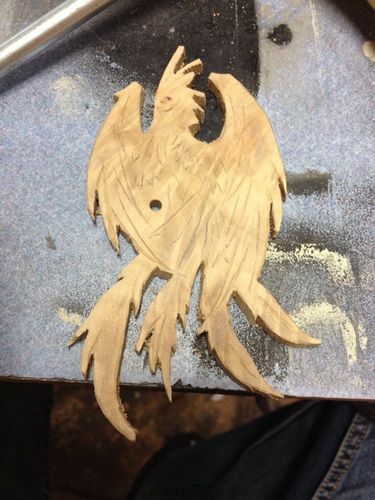 I think once I get it sanded up and the lines filled in along with the edges it’s going to look pretty good. I’ve already thought of a few ways to improve it, but I want to follow this one to the end first. What do you guys think about the red ink? Doing good Joey. Keep us in the loop.